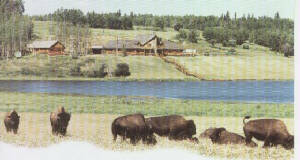 Canada’s largest working buffalo ranch offers some of the finest range riding in British Columbia. While enjoying your ranch vacations, guests can be pampered in the luxury of the full service. British Columbia’s fauna is as diverse as its ecosystems, yes the two wild animals that best symbolize the wilderness are bears and moose. It’s no surprise then that more than half of Canada’s grizzlies roam BCs hinterland and that this is the place in the world to see the black bear. Look for moose during your travels. Our secluded hideaway offers the luxuries of a grand long ranch house, delicious gourmet food and 7 comfortable guest rooms, hot tub, sauna. 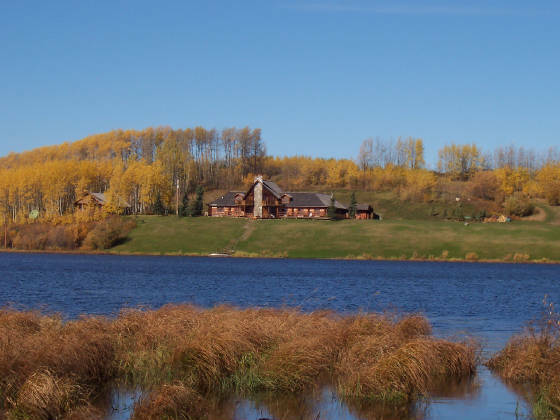 Guest Ranch, Ranch Holidays, Riding Arena, Riding on the Ranch, Trail Riding - in the northern Rocky Mountains, Pack trips, Cutting lessons, Canoeing, Fishing, Bird Watching, Nature Walks, Whirlpool, Sauna, Hiking, Photo Safaris, Eventual Rodeo.